Born in Algeria, Mesguich served as a Zouave before moving to France and joining the brothers Lumière, where he was assistant to Perrigot at the first provincial screening of the Cinématographe, in Lyon on 25 January 1896. 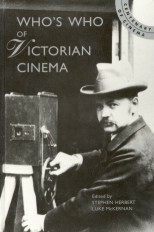 He was then among the operators sent by the Lumières to launch the Cinématographe in the United States in June 1896. Exhibiting at the Eden Musée and Keith's Union Square Theater in New York, as well as other major cities, Lumière programmes were highly successful throughout America to the end of 1896, but the business failed to keep up with the strengthening American competition, and ceased to be a major force on the American scene by 1897. Mesguich returned to France by way of Canada (when he filmed the Niagara Falls), returning to France in the autumn of 1897, when he was next sent to Russia, working for Lumière concessionary Arthur Grünewald and exhibiting Lumière films before Tsar Nikolas II at Yalta. Continuing in Russia to September 1898, Mesguich returned to France, left the Lumières, and next made some of the world's first advertising films, starting with an 'animated poster' for 'Ripolin' in October 1898, then 'phantom rides' sponsored by Compagnie des Wagons-Lits. He then turned up touring the films and cylinders of Sarah Bernhardt, Coquelin and others originally filmed by Clément-Maurice for the Phono-Cinéma-Théâtre at the Paris Exposition of 1900 on a three month jaunt through France, Germany, Austria and Switzerland. 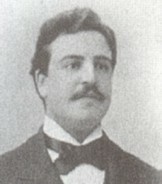 He returned to Paris in 1901 to present the film at the Olympia for the Isola brothers. Thereafter Mesguich toured the world as a news cameraman, commissioned by a variety of companies, filming Queen Victoria's funeral, the coronation of Edward VII in 1902, around Europe and Russia once more, the unofficial Olympic Games in Athens in 1906, through Palestine, Algeria and Egypt, and claimed to have taken film from a Wright biplane in flight in 1908. A world tour conducted in 1909-10 took him through Ceylon, India, Cambodia, Vietnam, Burma, Singapore, Japan and China. He served in the First World War in his Zouave regiment. His memoirs, published in 1933, are lively and readable, if somewhat cavalier with the facts.